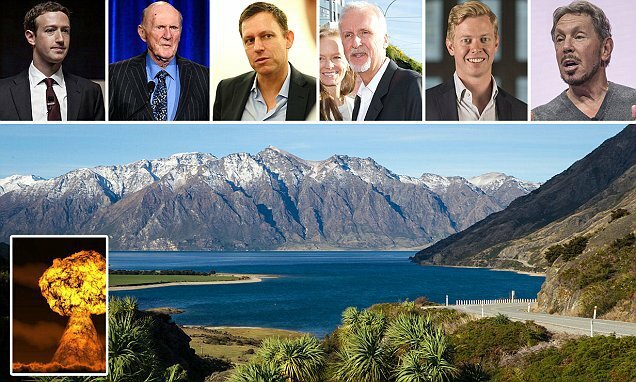 Billionaire Bunkers And Bolt-Holes: Silicon Valley Elite Invade New Zealand In Preparation For "Apocalypse"
As Silicon Valley Elite Invade New Zealand In Preparation For 'Apocalypse', Both Obama And Hillary Have Trips Planned There In Next 3 Months - Do They Know Something That We Don't Know? A few separate bits of news have been reported recently that when looked at together, brings up some interesting questions about what the "elite" know and why they are rushing to buy property and build panic rooms in New Zealand in preparation for the "apocalypse," at a faster rate than they had been doing in recent years. Whether that is from a natural disaster, a banking or economic collapse, nuclear war, or whatever catastrophe they believe will befall the world, some very rich people, including many billionaires, believe something is coming and they are preparing accordingly, and have been for the past few years, and one of their prime locations of choice just happens to be New Zealand. A rough and ready description of the attraction of New Zealand came last year in The New Yorker magazine, with LinkedIn co-founder Reid Hoffman suggesting the country had become shorthand for apocalypse insurance in Silicon Valley. “Saying you’re ‘buying a house in New Zealand’ is kind of a ‘wink, wink, say no more’,” Hoffman said. The latest billionaire to purchase another property for $13.5 million, as well as having recently built a panic room in another 4.8 million dollar home in Queensland, New Zealand, is Peter Thiel. His stated concern was that the poor would rise up against the rich and the wealthy were preparing for that, but the recent spate of names, like Elon Musk thinking they can build on Mars (Yes, I am serious) and how many reports we are now seeing utilizing terminology like "doomsday," and "apocalypse," while buying up not just property, but setting up multi-million dollar bunkers, which are rapidly being sold out, tell us they are preparing for more than just an uprising by the poor, and are setting up for a catastrophic type event. 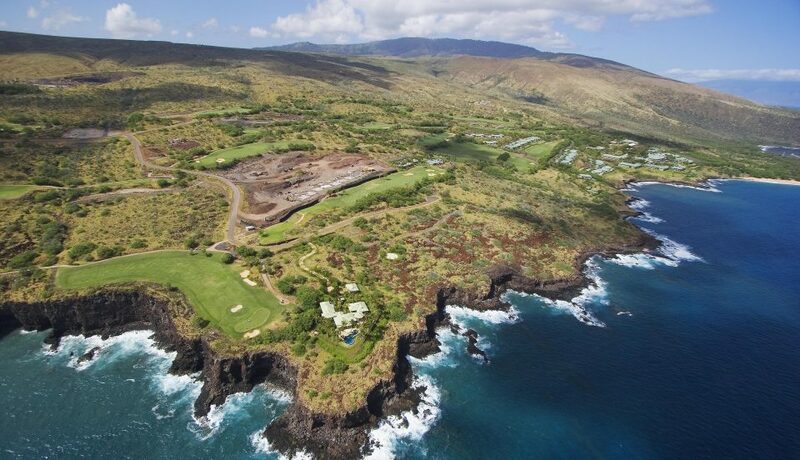 Other names reportedly buying up properties in New Zealand are Russian industrial magnate Alexander Abramov who built five homes, American billionaire William Foley, who bought a vineyard, Tony Malkin president and CEO of Empire State Realty, who owns the Empire state building and 18 other properties in New York City, Hollywood film director James Cameron and billionaire hedge-fund pioneer Julian Robertson, just to name a few. Via The Mirror, we see "In 2016, Sam Altman, one of Silicon Valley’s most influential entrepreneurs said he had an arrangement with Thiel in the event of some kind of systemic collapse scenario (synthetic virus breakout, rampaging AI, resource war between nuclear-armed states or some other apocalyptic disaster currently limited to the TV screen and thriller novels) they would both get on a private jet and fly to a property Thiel owns in New Zealand." It isn't until we found a very lengthy report over at The Guardian which indicates why New Zealand is seeing an increase of billionaires buying up property. Unlike Thiel who is cited as worrying about "outright civilizational collapse," it appears the other Silicon Valley billionaires are worried about something far different, as the Guardian reveals "According to the country’s Department of Internal Affairs, in the two days following the 2016 election the number of Americans who visited its website to inquire about the process of gaining New Zealand citizenship increased by a factor of 14 compared to the same days in the previous month. In particular, New Zealand has come to be seen as a bolthole of choice for Silicon Valley’s tech elite." More recently I read Hillary Clinton will be visiting Australia and New Zealand for a series of events in May 2018, which reminded me that I had also seen another unrelated article mentioning that Barack Obama was also going to be visiting New Zealand in March 2018. As a side note, it appears that former prime minister John Key arranged Obama's planned visit to NZ, as the two were quite chummy when they were both in office. It is also quite interesting that former FBI Director James Comey, fired by President Trump in May 2017, was in New Zealand just a month before his termination to participate in a government conference, between the "Five Eyes," which is a spying network alliance between US, the UK, Canada, Australia and New Zealand." We find that particularly noteworthy because the global Five Eye alliance, sometimes abbreviated to FVEY, was described by whistleblower Edward Snowden in 2013, as a "supra-national intelligence organisation that doesn't answer to the known laws of its own countries." Documents leaked by Snowden in 2013 revealed that the FVEY have been spying on one another's citizens and sharing the collected information with each other in order to circumvent restrictive domestic regulations on surveillance of citizens. Further hunting leads to some very curious references about Five Eyes in regards to the whole Russia collusion conspiracy created as an "insurance policy" against a Trump presidency, referenced by text references between FBI agent Peter Strzok, who was a key member in both the Hillary Clinton investigation and the initiation of the Russia probe, and his lover FBI lawyer Lisa Page. The Brits, members of the Five Eyes alliance, claim it was their premiere spy agency GCHQ, "played a crucial role in alerting their counterparts in Washington to contacts between members of Donald Trump’s campaign team and Russian intelligence operatives." A month before Comey visited New Zealand for the Five Eyes conference, Judge Andrew Napolitano went on Fox News and revealed that he had three intelligence sources that told him that Obama used the GCHQ to spy on Trump and/or Trump campaign members communications. At the time the British government denied the allegations, yet within a month they were gloating they had "played a crucial role," in alerting Washington to communications between Trump associates and people they "believed" were Russia operatives. Makes us wonder exactly what was discussed in that April meeting of Five Eyes. Not everyone in NZ is happy about America's billionaires and anti-Trumpers all hightailing it to their "stable" country, as Iain Lees-Galloway, immigration spokesman for New Zealand’s opposition Labor party, states "I think this sort of insurance policy approach is problematic." He believes the NZ government should have rules limiting the their ministers from granting citizenship on the basis of how much money these "elite" are willing to spend and invest, basically allowing them to buy their citizenship. He has a point, while Thiel is the outlier, being more conservative and preparing for some type of societal collapse, the others are highly liberal, anti-Trumpers, many considered the movers and shakers of Silicon Valley. In other words, globalists that favor socialism and have the money to push that ideology, and just look at what their policies have wrought already in America. The most liberals cities in America, like San Francisco, reportedly has streets lined with feces, needles, and garbage. One University of California, Berkeley infectious disease expert has even said it is comparable to the slums of a developing country. It appears a lot of anti-Trump individuals, including billionaires and the spy community, simply love New Zealand for a variety of reasons, spying on him, running from him, hiding from disaster or from his policies which may just catch them up in their own "apocalypse" scenario, which is most likely why they are all setting up their own bolt-holes in New Zealand. There is an expression about following the money, and while I doubt many of us want to follow it all the way to New Zealand, it does pay to keep an eye on where all these rich and elite are setting up shop, because after what their policies have done to America, the last place any normal person would want to be is the next place they plan to destroy. There is no doubt these rich, famous and "elite" are preparing for something huge. They obviously know something that we don't.